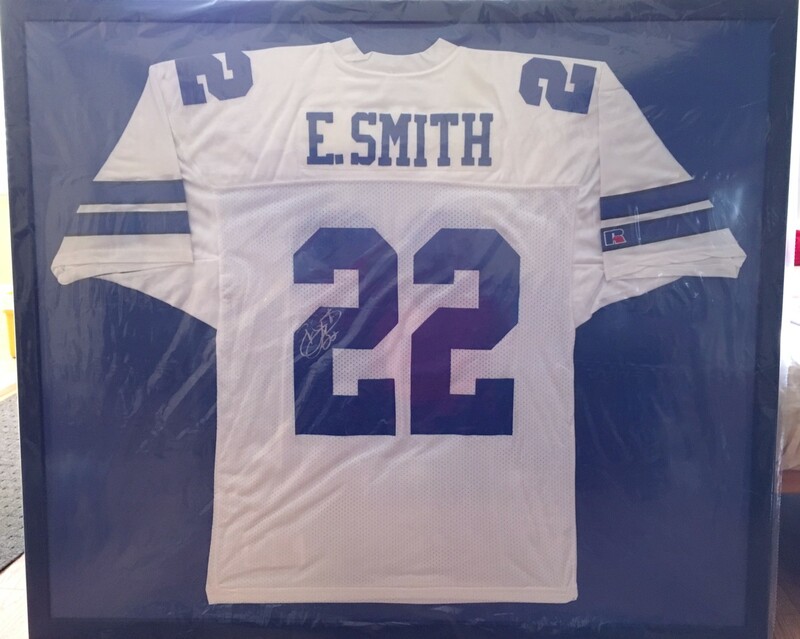 Emmitt Smith Dallas Cowboys authentic Russell Athletic home white jersey autographed beautifully in silver paint on the back left 2, professionally mounted on blue matting and framed with plexiglas in black wood, ready to hang. 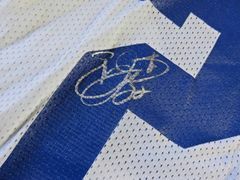 Autograph was authenticated by JSA with their matching numbered sticker (on the front tag which is now hidden by the framing but searchable in the JSA database) and certificate of authenticity card. 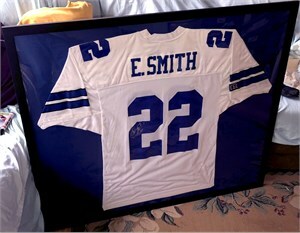 Framed size is 38 by 45 inches. ONLY ONE AVAILABLE FOR SALE.